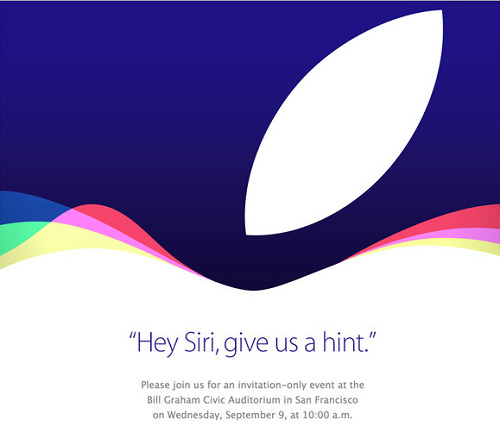 Home > Gadgets > Apple sends out invitation for a new event on September 9: What can we expect? September is here and as expected, like every year, Apple has started sending out invites for an event to be held on September 9 at San Francisco. There is huge expectation that Apple will definitely uncover its new range of devices. Out of the expected devices, there will be iPhones for sure. Since iPhone 6 and iPhone 6 Plus have already launched, there is a decent possibility that the phones to be revealed will be iPhone 6s and iPhone 6s plus. While we have seen that the s series in iPhones are usually the sequels of the preceding iPhones, they bring improvements in internal specifications only. Another important gadget that have high chance of announcement in the September 9 event is the new Apple TV box. If reports are to be believed, will incorporate interesting improvement in performance, which include a redesigned remote featuring an integrated touchpad. Other than these, you can expect Apple TV branch of the App Store. It will be revamped with iOS 9. While all these device launch news are still educated speculations, Siri has already improved itself with the new update. If you ask Siri about the devices to be launched at the event, it will ask you to wait and watch. The new event can also imply some newer abilities to be integrated to Siri also.